I have ridden the Tiger for one year now. Prior to the Tiger my only bike was a TW200. So it was a big jump in CC’s and weight. I test drove a BMW F 800 GS and a KTM 1090 and KTM 690 but none of them felt better to me than the Tiger. 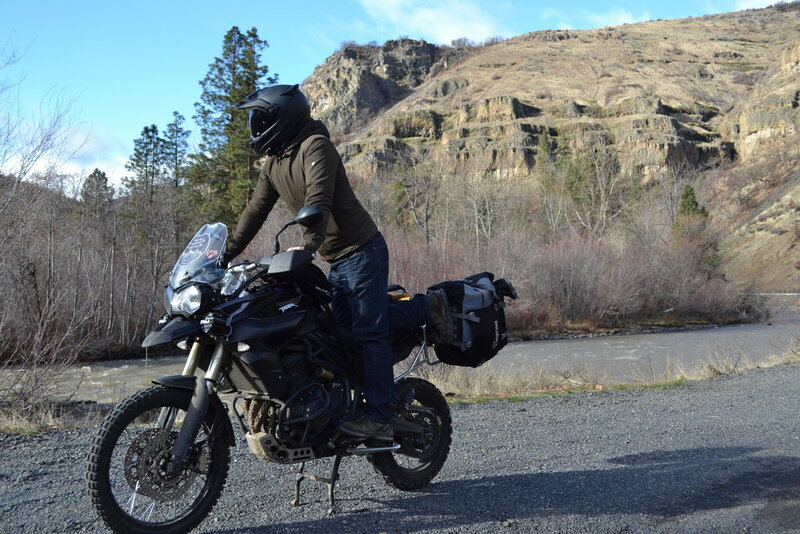 I am sure the other bikes have great features and excel in some areas but the Tiger felt great in every aspect. I have made a few modifications to fit me better: Rox Speed FX 2” pivoting handle bar risers, Sargent Seat, Lust 30 mm jack up kit. The combination of these add ons made the Tiger fit me perfect. I ride a pretty good combination of tarmac and dirt/gravel. Being part of the OUTDOORTREE service organization we do a lot of service projects of forest service and jeep roads but also ride on the tarmac a lot to travel to events and rallies. I think the Tiger is the perfect bike for what we do. My number one gripe is the clunky center stand. It knocks on the bikes metal swing arm. I ended up buying a 1" thick rubber washer and put it on the stopper and it has stopped the clunking but that shouldn't be neccesary.